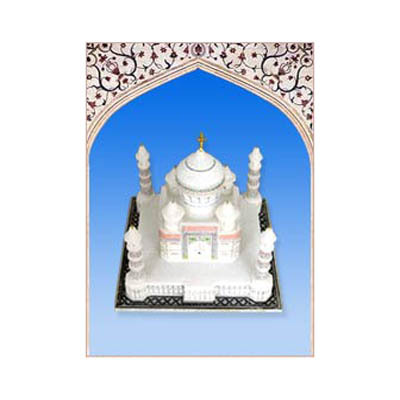 Taj Mahal Replica - A beauty captured in white stone! These magnificent Taj Mahal replicas designed by stone cutters. These handmade Taj Mahal models will prove excellent addition to your collection. Gift this on any occasion.